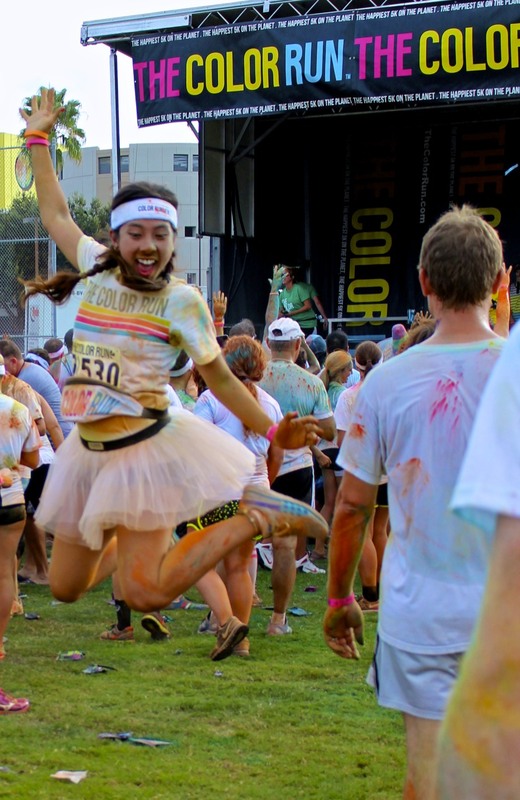 Everyone knows what a 5k is, but have you heard about the “Happiest 5k on the Planet?” That would be The Color Run! A unique 5k that’s all about promoting health, happiness, and individuality – and having fun while doing it! Runners leave the starting gate clean in white. Only to cross the finish line with splattered rainbows. 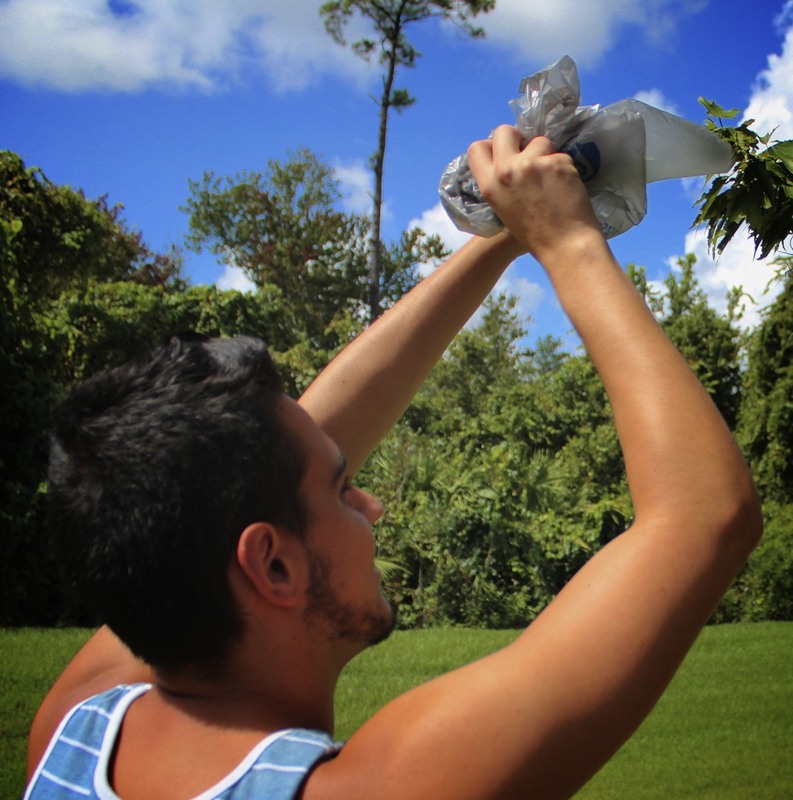 The Color Run left a colorful mark in the hearts of nearly 8,000 Orlando locals this past weekend, as well as in the streets…especially with JDSA throwing paint from the sidelines! As my volunteer shift began, I could feel positivity in the air radiating from the arriving runners and other volunteers. The last bit of morning darkness faded over Central Florida, as people of all ages assembled together on a nearby soccer field to stretch, warm up, and wake up with the earth. The sun was rising, and so were the spirits of everyone around. The Color Runners warmed up and readied themselves to get colorful! Proceeding towards the starting line…everyone eager to start the most colorful 5k they have ever experienced. Being part of the run allowed me to see, first-hand, health, happiness, individuality, and lots of messiness! I’ve never seen more people covered in paint with such big, bright smiles on their faces. Several runners were completing their first 5k ever! And afterwards, were inspired to reach more health improvement goals – parents teaching their children that living fit and healthy lifestyles can be fun and rewarding. Happiness was everywhere…especially after the race. As soon as the runners crossed the finish line they were greeted by friends, family, and fellow color runners to enjoy the best part of this extraordinary 5k: The Finish Festival. Color Bombs exploded in the air, with individuality being expressed through everyone’s unique attire; Tutu’s, colorful high socks, balloons, wigs, handmade hats and masks. 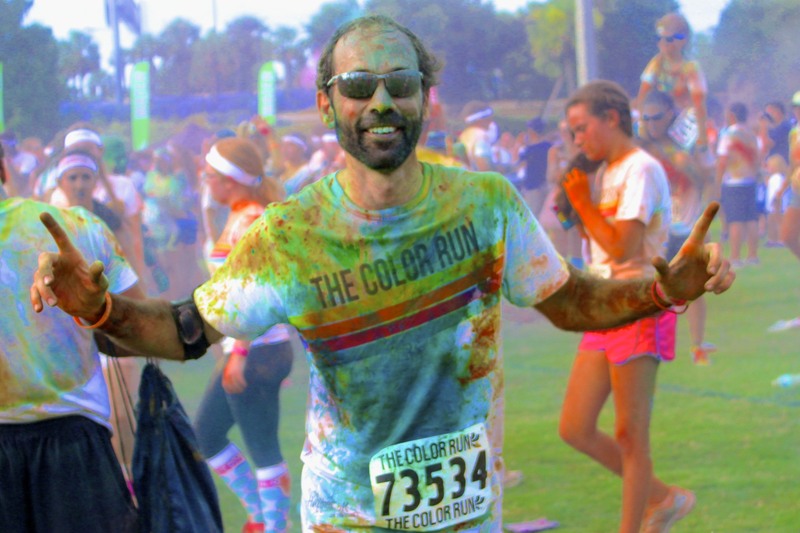 You name it…a color runner had it on! Running a 5K to raise money for local charities definitely calls for a celebration! But it didn’t stop there. 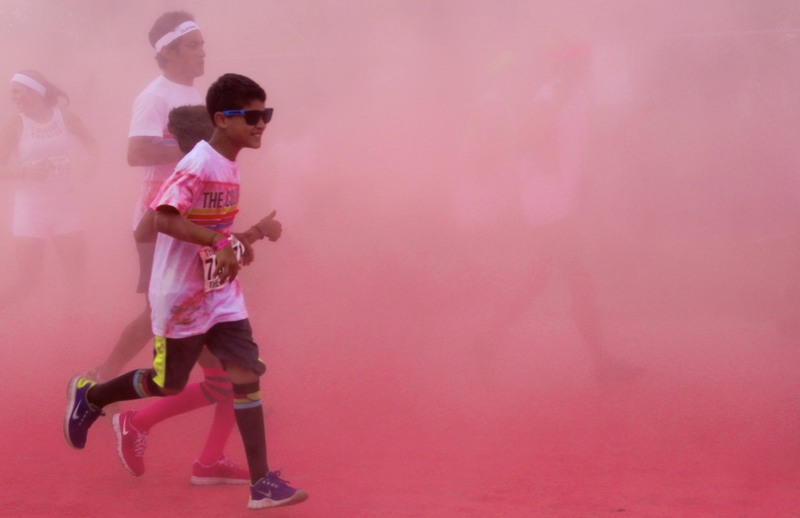 The Color Run and their partner, Global Citizen, not only brings positive impact to the communities they visit, they’re on a mission to end poverty. This year, The Color Run’s trip to Orlando helped raised donations for Second Harvest Food Bank of Central Florida. A private, nonprofit that distributes donated food to over 500 nonprofit partner agencies in 6 Central Florida counties. The Color Run was an incomparable experience that left me in high spirits. Everyone should have the opportunity to experience such an uplifting event. Think a Color Run might be for you? 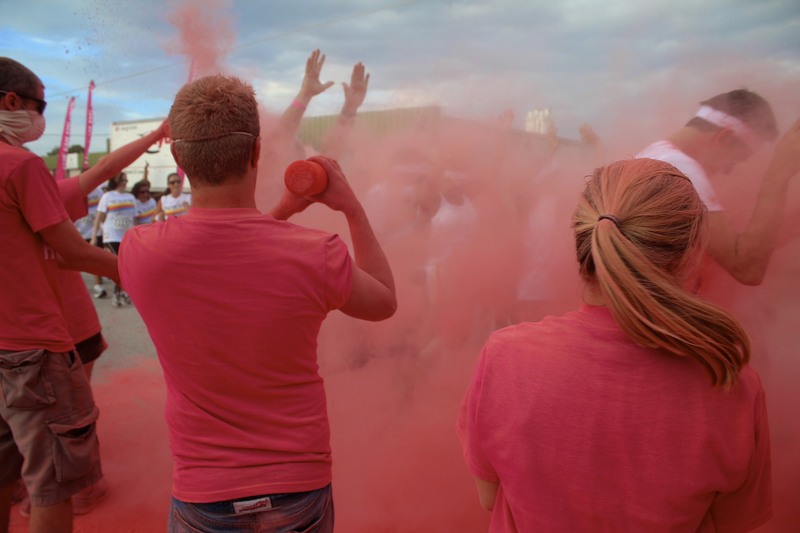 Visit their website and nominate your town for a Color Run visit! Oh, and make sure you wear clothes that, well…you don’t mind getting just a little bit messy. The first time I traveled to Italy all my expenses were paid for: the hotel, the meals, and the wine. I took video of it all. Shooting a documentary on life in Rome I saw the Pantheon, the Forum, and the Roman Colosseum. Traipsing my way through the Vatican, shooting everything that moved with my big, bulky video camera, it dawned on me (years later, unfortunately) that I hadn’t seen anything. Not really. I was just capturing moments instead of realizing them. Ok, yea…so I sneaked a pic. Big deal. The overpriced camera I once used has been replaced with an affordable smartphone. 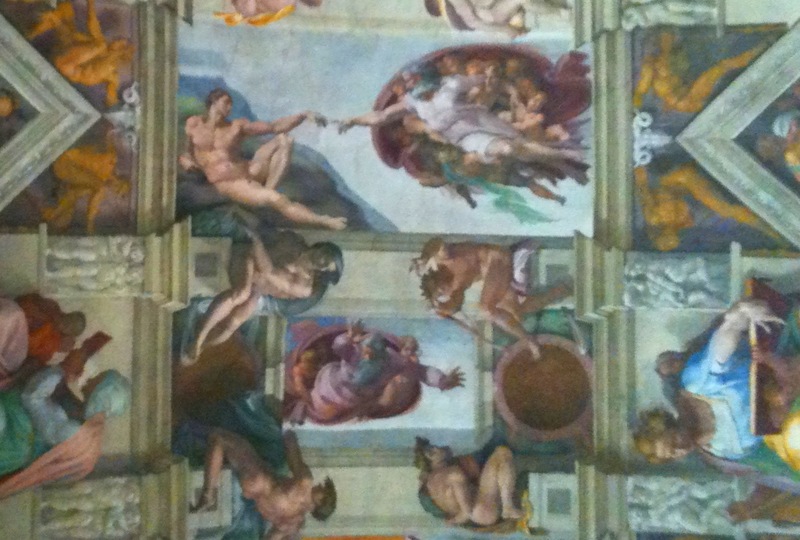 It’s much easier now to clandestinely smuggle a pocket-sized device into the Sistine Chapel, and snap an image without drawing much attention. Just remember to take off that “camera click” noise in the Settings menu. In my day, it was impossible for me to sneak past the Swiss Guard carrying a shoulder-mounted camera with a light on top. Today, Apple’s iOS7 will be available for download, and the release of their new iPhone line is on deck. It all promises to be cool, fun and extremely time consuming to figure out. But Charlene’s video serves as a reminder that there’s a whole world out there to experience. And it was never meant to be seen through a viewfinder or a 4 inch piece of smartphone glass. I’ll still use the camera on my iPhone. But now I’ll try doing so with the proper balance. A balance in the belief that it is possible to Just DO Something…Anything! with my phone in the “off” position. A Gift For Teaching Turns 15! A Gift For Teaching is turning 15 today and celebrating its birthday week! Just DO Something…Anything! put this video together to help AGFT celebrate 15 years of being Central Florida’s primary provider of free school supplies. More than 60 percent (180,000) students in Orange, Osceola and Seminole counties come from families that can’t afford lunch, let alone school supplies. Close to 10,000 of those children are homeless and that number continues to rise each year. As a special birthday gift, AGFT is asking for a donation of $15. $15 goes a loooooooooooooooooooong way; for every $1 given, it will provide $10 worth of school supplies to students in need – helping those children not only dream, create, and experience success in school…but in life, as well! JDSA would like to introduce two of our newest interns with this latest post – seeing as how both contributed. Lorel Sim lives in California and has a passion for writing and communication. Lorel took this internship to gain career experience in the world of journalism. She’s a member of the National Honor Society, a Key Club Kiwanis Commissioner, has a 4.54 GPA, and currently serves as West Ranch Chapter Vice President for the California Future Business Leadership Association. Oh, and by the way…she’s in high school. Katie Poggio is a sophomore majoring in Journalism at the University of Central Florida and minoring in photography. She was awarded a Bright Futures Scholarship and has an AMAZING eye for photojournalism! Katie and Lorel tag-teamed on this environmental piece. Lorel’s words-Katie’s camera. We share this planet. It’s our only home, therefore, it is our collective responsibility to sustain it. Cliche? Of course. But the truth is undeniable. The image of the environmental activist is often that of delusional picket-sign-holders who chain themselves to trees and demand that the rest of us stop disrupting nature. Time and again, they’re mistakenly perceived as zealous and militant, extreme in their efforts. Fanatic or not, they grasp a basic idea that we, as a society, do not. The idea that our one and only home might eventually die out. This concept is either so far removed from our psyche that we refuse to wholly believe it, or we feel as if we are so miniscule in this tremendous world of ours that we can’t possibly do anything to save it. I think it’s both. And the media, try as they might, isn’t helping much. 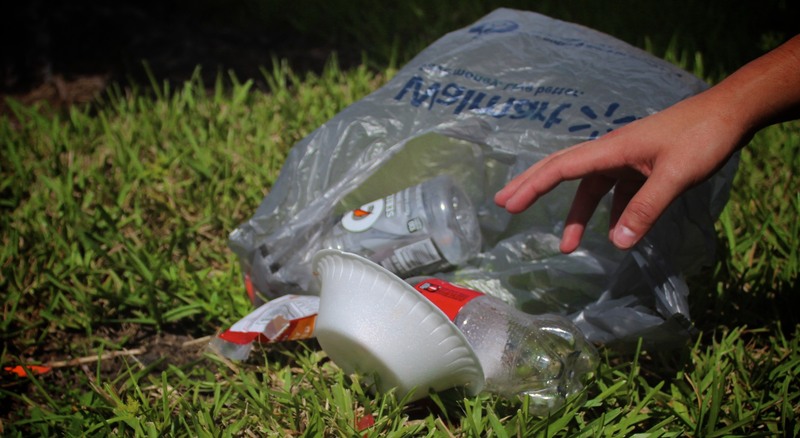 Environmental issues have been tirelessly covered on television, radio, magazines and blogs. But for sake of brevity, it always glosses over the reasons for the melting ice caps, choosing instead to focus on the images. Crumbling glaciers and subsequently stranded polar bears that serve as the “poster children” for our cause. We stare at those images for so long we begin to lose sight of the reason we’re seeing them in the first place. Most people, even the skeptics, believe in the possibility that, yes, global warming is capable of reaching civilization. Inevitably, but not today. And, yes, mankind could eventually join the polar bears on their path to extinction if we blindly continue along the pathway of our current activities, but not today. The media keeps feeding our easily satisfied society by telling us nothing bad will happen…today. Why worry about tomorrow when everything is fine right now? Aside from the news stories of flooded coastlines and subsequent forced migration, global warming is never seen as being directly related to the extinction of humans. “Stop with the morbid predictions!” is a common statement. “Stop masking the problem with ignorant bliss,” is mine. We’re not going to save the world simply because we’re capable of doing so. We’re going to do it because we want to take action. This age we live in, the age of information technology, gives us power we’ve never had in the history of humankind. We now possess the power to reinvent, innovate, and envision new ways to remedy a small fraction of the damage we’ve done to our planet. This technology has allowed us an insiders look at what we’ve not been able to see in generations past. We know what’s happened, and what’s happening now. These questions we ask of others and ourselves are difficult. What are the answers going to be? 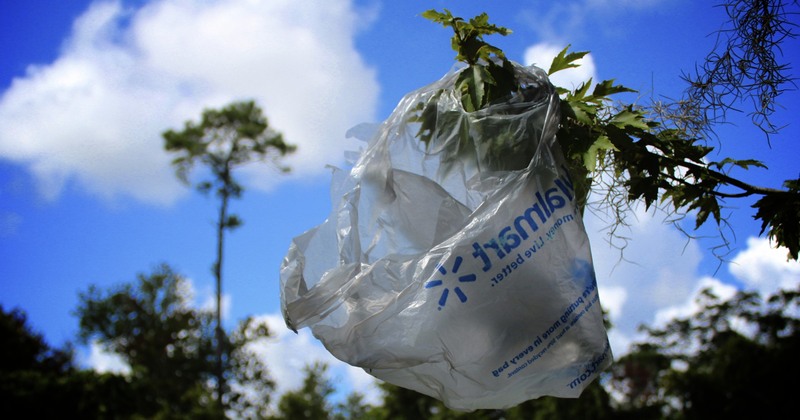 Superficial remediation says humans should plant trees, recycle and conserve energy. But at the same time, we know that no matter how much damage control we do, we’ll never get our planet back to the condition it was once in, and that thinking is precisely what takes our eyes off the root of the issue. Us. We are the problem. Our lack of urgency and our failed obligations to be respectful of future generations exacerbate this issue. No matter how passionate we think we are in sustaining our dying home, or how successful our attempts are, we could always be doing more. By all means, continue saving water and unplugging power strips when not in use. Just remember not to get discouraged when scientific statistics show little to no improvement. We can’t conserve a few sheets of paper here and there, then ask, “Why are the ice caps still disappearing?” and, “Why is the ozone layer still thinning?” Granted, every small action helps, but it’s a big world out there. We’ve done a lot of damage, and it’s going to take a while. In the meantime, keep on taking action. They perfectly align with JDSA’s mission and will help keep your initiatives in check. We can always be doing something more…something bigger. Bigger in the sense that you, as passionate and aware JDSA-ers, should feel that you’ve positively exhausted your abilities to help. While the vast majority loves voicing their opinions, most don’t really act on their beliefs. I believe that the core issue with our slowly collapsing planet is unrelated to the indirectly helpful acts of recycling and conserving. Rather, it’s directly related to us…humans with ideas, beliefs, and the capabilities of sympathizing and acting. We remove the blame from ourselves and place it on the slow improvements of our actions, but once we comprehend the ticking clock and proximity of our dire circumstances, our actions resonate with a unified determination to nourish our planet back to a wholesome, sustainable, and livable state. This technology age has given us great power to see. But we can never lose the power to actually utilize what we see and remain insightful. In this generation of instant gratification, we must remember that although we might have already revealed the end, we can also be a new beginning. Don’t wait to get involved. Make a difference now. Just get out there. Just DO Something…Anything!